Meet the UMIDIGI S. That supports 4G LTE and it spots 5.5-inches screen size with corning gorilla glass 4 protection. It packs a 4GB of RAM + 64GB massive inbuilt storage. 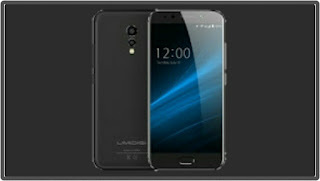 UMIDIGI S came running on Android 7 Nougat based on UMI OS, powered by MediaTek MTK6757 Helio P20 chipset. designed in an aluminum alloy unibody. There’s a big 4000 mAh battery capacity with quick charging combined. Launch Price: $199.99 / N74,000. You can't compare Umidigi C Note with Umidigi S because the Umidigi C Note smartphone is fully powered by octa-core, 1.5 GHz Cortex-A53 Mediatek 6737T with a dedicated ARM MALI-T720 MP2 600MHz for the Graphics. Umidigi C Note packs 3GB RAM and 32GB internal storage expandable up to 256GB via external microSD card.